If you thought luxury in home automation ended with fancy shades, think again! The South Florida lifestyle is nothing if not luxurious, and your home should be no exception. Design and lifestyle no longer have to be compromised when it comes to implementing home automation technology. In fact, luxury living is merging with smart tech to provide the epitome of style and comfort. From a decked-out summer kitchen by the pool, to an audio system outside on the dock, to in-home theatre – the options are endless. Luxury automation can be implemented throughout your home, whether you want a high-tech wine cellar, fine-tuned air quality, or a serious security system. Home automation technology provides the epitome of luxury when combined with your own design style. The right technology will allow you to have complete control of everything in your home – from the window shades and lighting, to the temperature, and even your security system. Improvements in this technology provide you access to your entire home from your phone or tablet at the touch of a finger or a simple voice command. 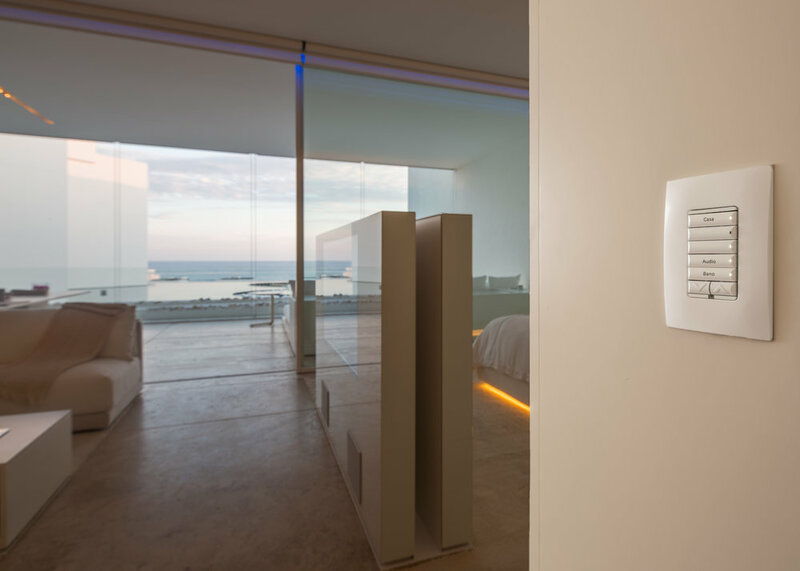 Whether you want a top-of-the-line smart kitchen or an over-the-top outdoor movie theatre in your Oceanside retreat – there is a perfect mix of home automation technology for you, which can be designed to suit your individual design style.